We’re proud to announce that DroneBase CEO Dan Burton & CTO Eli Tamanaha will speak at Teens Exploring Technology’s first-ever "Techie Tuesday” event from 5-7PM on 5/23. 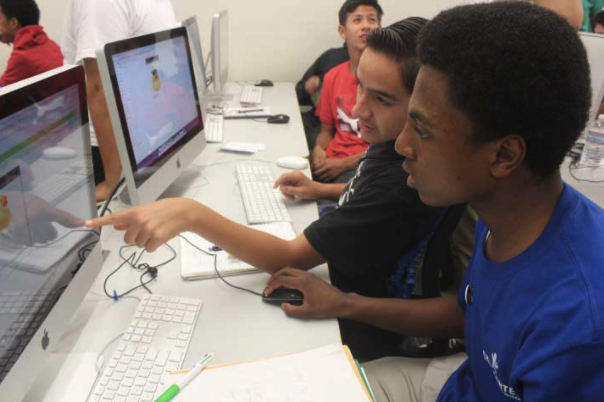 Teens Exploring Technology (TXT) serves young men of color between 7th and 11th grade from low income communities. With technology as a catalyst, TXT helps teens develop discipline and build confidence in themselves. Each “Techie Tuesday” event is meant to encourage inner city teenagers to become examples of change in urban communities. Together, Dan and Eli will discuss how they’ve navigated the startup space, followed by a Q&A session with the youth in attendance - of course, they’ll fly some drones, too! Interested in attending? For details and to reserve your spot, visit the Eventbrite page.